More than 1,500 positive evaluations can't be wrong! 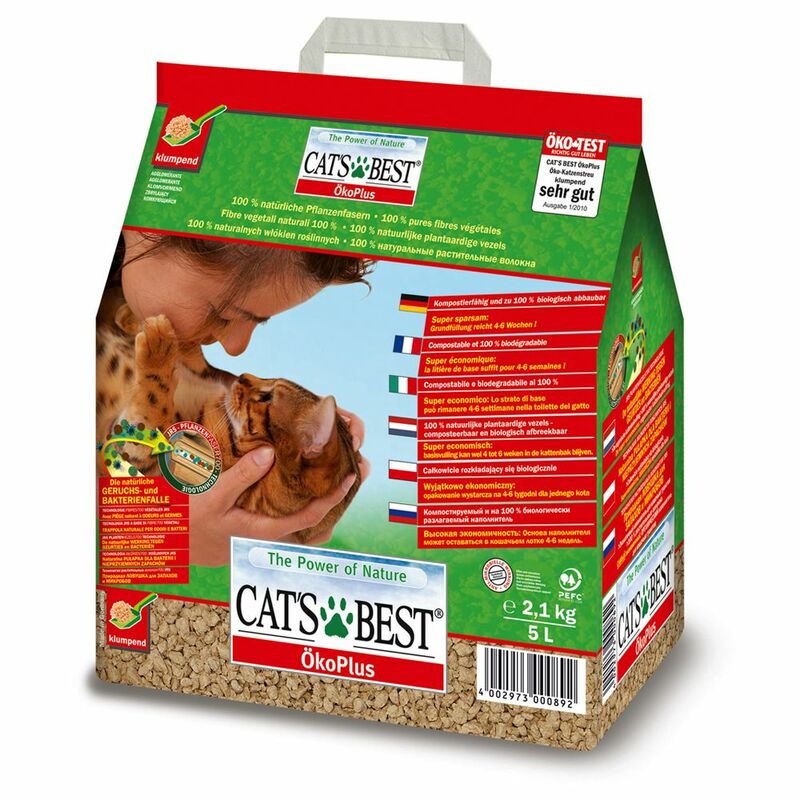 Cat's Best Öko Plus is up to 3 times more efficient than conventional clumping cat litter because the natural plant fibre capillary system is very effective in retaining fluids. Cat's Best Öko Plus can be used more sparingly and is therefore more economical than many other types of cat litter. Cleaning and refilling the litter box is reduced to a minimum because Cat's Best Öko Plus stays in the litter box longer- thanks to its ability to trap odours and remain fresh-smelling. This timber is readily available and the felling of such trees helps to promote healthy, natural forests. Up to 3 times more efficient than conventional clumping litter Up to 700% moisture absorption compared to original volume. Easier to transport Can be flushed down the toilet: Cat's Best Öko Plus is made from natural plant fibres, which diΒolve in water, just as toilet paper does. It will not cause pipe blockages or impact negatively on sewage treatment. Please flush using plenty of water. Gentle on your cat's paws Quality tested: The independent product test commiΒion Stiftung Warentest evaluated Cat's Best Öko Plus in April 1998 as having best quality and an outstanding price/performance ratio. Of the 19 clumping cat litters evaluated, Cat's Best Öko Plus was the only ecological litter among test winners. Find the perfect disposal bin for soiled cat litter: LitterLocker II PLus Here you can find Covered Litter Boxes: Covered Litter Boxes Here you can find more on Odour Management: Cat's Best cat litter overview.